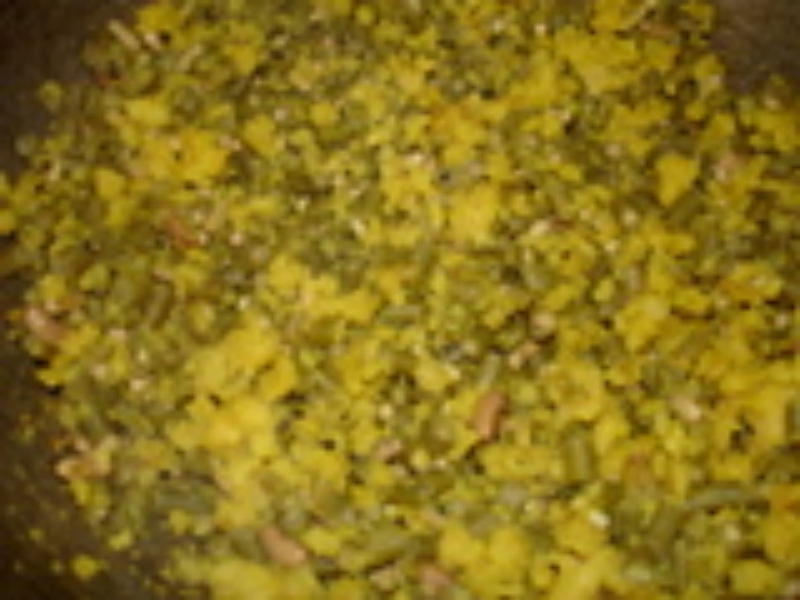 chauli/long beans/thatakkai.We make parupu usli with banana flower,guvar(cluster beans),french beans and in chauli. wash and soak tuvar dal for half an hour in hot water with red chilli. Grind smoothly soaked tuvar dal with curry leaves,red chilli,hing and few salt. Don't add water while grinding. Grease idli mould with oil and pour the grounded paste into the mould and steam for 10-12 minutes. Crumble the steamed tuvar dal. Add long beans and saute for 3-4 minutes by adding enough salt.Mix well. Note:i generally grind curry leaves.If we put it while seasoning,no one is eating that and its going to dust bin. If you want to reduce red chilli you can.